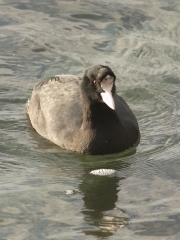 This Coot really stopped me in my tracks. 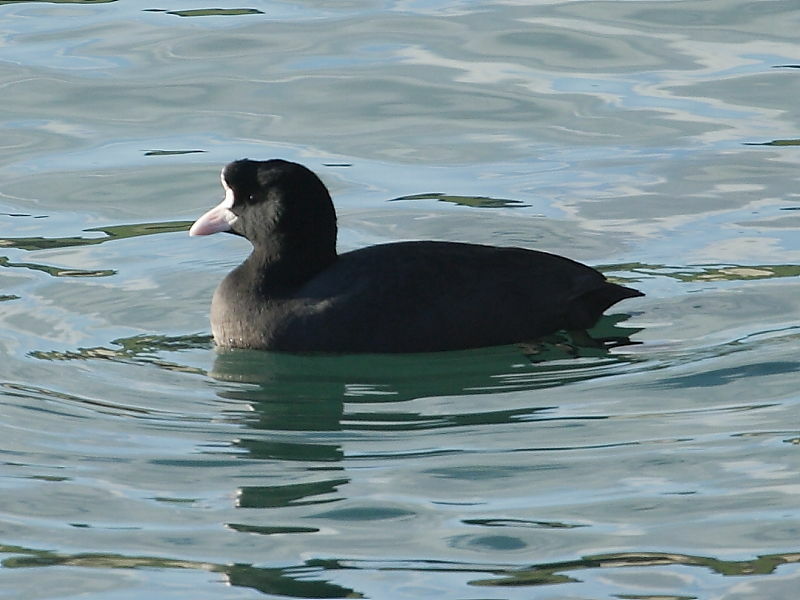 First, it was on the sea at Swanpool in Falmouth, Cornwall and I couldn’t recall ever seeing coots on salt water before. Secondly, even from a distance it appeared to have a strange head profile. A Moroccan Red-knobbed Coot with strange red nodules on the forehead sprang to mind. Disappointingly, later, upon close inspection of the images, the strangely shaped forehead appeared more of a growth like lump. The pinkish hue on the bill and the angled sloping back also seemed compatible with the common Coot. On the Red-knobbed Coot the bill apparently shows a greyish hue and the back is flatter. Maybe, it had a brain tumour, hence it was on salt water instead of fresh! So it would appear that once again the discovery of a mega rarity has proved a mere fleeting fantasy. I really should have learnt by now. The next telesales person to ring isn’t half going to feel the intensity of my frustration.